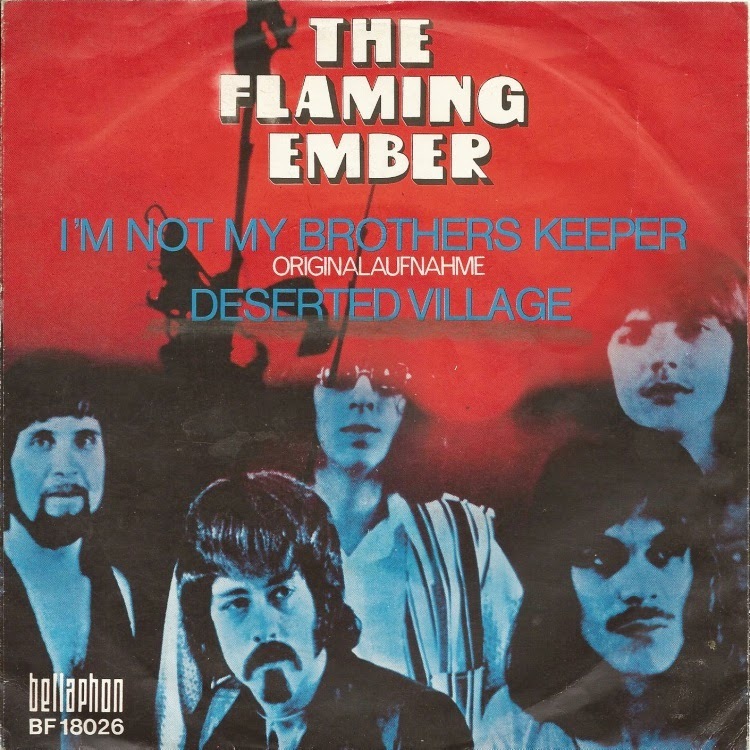 The Flaming Embers can be traced back to 1965 when they recorded for the Fortune label on Third Street. They were a white group desperately trying to emulate the black sound, and consisted of Joe Sladich (guitar), Bill Ellis (piano), Jim Bugnel (bass) and Jerry Plunk (drums). From Soulful Detroit: Their debut for Ric-Tic came in July 1967 when they released "Let's have a love-in". Another five discs followed but the persistence failed to pay off and nothing charted. When Motown bought the Ric-Tic label in 1968, Flaming Embers were released from their contract. The following year they joined Holland/Dozier/Holland's Hot Wax label as the Flaming Ember. Three top 40 hits ensued before they broke up in 1973. The group originally formed in Detroit, Michigan in 1964. At that time, they were known as The Flaming Embers. In 1969, they signed with the newly formed Hot Wax Records, (the label founded by Brian Holland, Lamont Dozier, and Edward Holland, Jr.), after the band recorded for a number of smaller Detroit-area labels since 1965. They recorded for Ed Wingate's Ric Tic label in 1967, but when Berry Gordy, Jr.'s Motown Records purchased Golden Records/Ric-Tic from Wingate, the Flaming Ember chose not to sign with Motown.